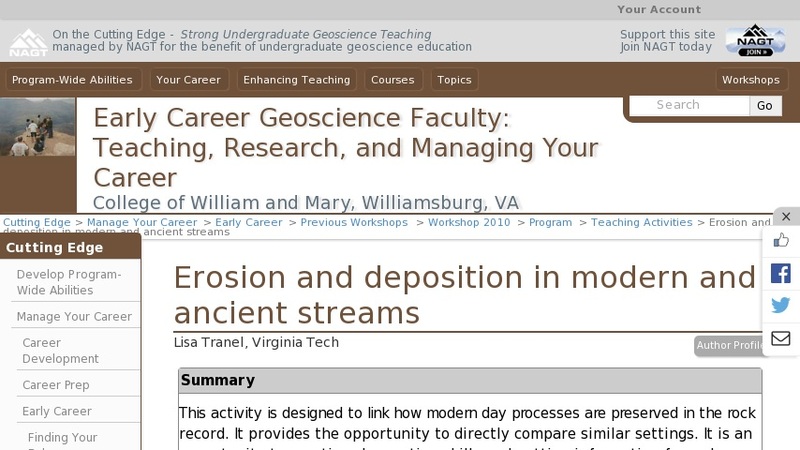 Students will make comparisons between an active stream system and an ancient system recorded in the rock record. Students will be given a list of prompting questions to help them practice field observations. Their task is to identify features of a modern system that can be preserved and think about the environmental changes that occur to ensure preservation.